Which PCGS Mobile App Do You Use Most Frequently? 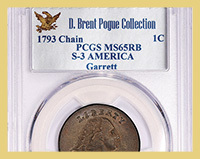 Collector participation dominated the Regency XVI auction and new records were set during the PCGS Members Only Show. 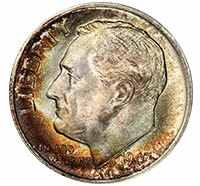 Bidders enjoyed the world class selections of pattern coins, silver and gold issues. 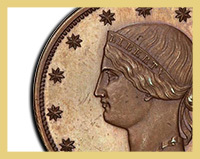 Standouts include this excessively rare 1849 Pattern $10 struck in copper at the Paris Mint. Despite horrendous start-up problems at its fledgling Mint, the U.S. produced some of the most aesthetically appealing gold coins between 1795 and 1834, struck on a screw press powered solely by human muscle. 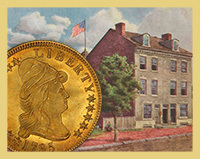 Today, these coins are rare and highly desirable. Recently, Mike Sargent, Director of Coin Grading at PCGS, had to pause from grading coins momentarily. He was very intrigued by a coin that passed through his hands, or...was it even a coin? Time is Running Out – Register to Win a Morgan Dollar! 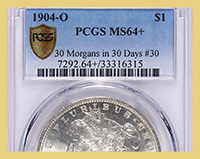 PCGS heads into the last week of our 30 Morgans in 30 Days Sweepstakes. Don’t miss the opportunity for your chance at a FREE Morgan Dollar. The sweepstakes ends on March 3. National Money Show in Dallas Next Week! 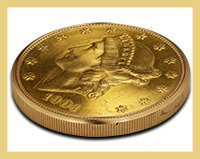 PCGS on-site grading, an appraisal event, a major auction, educational seminars and first class displays are the top headlines at the ANA’s National Money Show, taking place next week March 3-5, 2016. 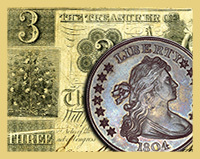 With the third sale of a planned series of five, the D. Brent Pogue Collection sales, presented by Stack’s Bowers Galleries in association with Sotheby’s, became the most valuable series of numismatic auctions in history. 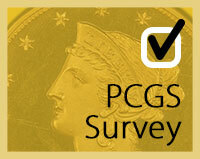 L&C Coins Which PCGS Mobile App do you use most frequently? I don’t have a smart phone/tablet.